The way to muscles crosses through whey protein. For most fitness enthusiasts, whey protein powder in all likelihood is the first tub of protein that they buy, and from here begins a lasting relationship that grows stronger every day. Whey protein and weight lifting share a close bond. It is hard to imagine one without the other. Muscles are made primarily of protein and whey protein, a milk based protein with the highest bioavailability of protein content repairs torn muscle tissues, an outcome of intense workouts and triggers new muscle synthesis. Beyond the basics, whey is also involved in improving your immunity and weight reduction. 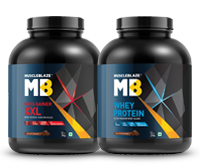 There are different types of whey protein available and which one will fuel your bodybuilding goals in budget complicates the task of choosing the right whey protein. Sangram Chougule tells you how to choose the right whey protein. Protein is an essential nutrient for your body's growth and repair of muscle tissues. Muscle tissues undergo wear and tear as a result of vigorous workouts. Protein rich diet repairs muscle tissues. The strength of protein is dependent on the quality and quantity of its essential amino acids. There are nine essential amino acids and these cannot be made by your body. These amino acids come from food. The availability of essential amino acids, primarily Isoleucine, Leucine and Valine, also known as Branched Chain Amino Acids decides the quality of protein, particularly for a muscle building enthusiasts. BCAAs provide the basis for protein synthesis and energy production. In fact, BCAAs can comprise up to one-third of muscle protein. Because of their prevalence and involvement in protein synthesis and energy production, BCAAs are important to many metabolic processes and are critical for the muscle seeker. Leucine plays a greater role than isoleucine and valine in skeletal muscle protein synthesis. Not only leucine preserves muscle tissue it also helps regulate the energy supply of the body. 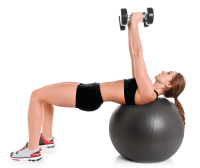 Isoleucine ensures muscular endurance by promoting muscle recovery when your body?s muscles are under stress. It is also vital in the production of hemoglobin in the body which is important for training as it supports enough oxygen supply to all parts of the body efficiently. It is a key amino acid that is vital for enhanced protein synthesis and energy production which is very much required during intense training. For the body to make new proteins, it needs an estimated daily leucine intake of between 1 to 4 grams/day (FAO/WHO/UNU 1985). Actual metabolic use, especially by athletes and people doing heavy resistance training, may be upwards of 12 grams in a day. The highest amount of BCAAs in whey protein supplement makes it a natural choice for bodybuilders and muscle building enthusiasts. Choose the right whey protein powder depending on your training and fitness level. Whey Protein Concentrate, the basic whey has low fat and carbs (higher than other forms of whey). The protein content in whey protein concentrate is between 30 to 80 percent by weight. A variety of other protein sub-fractions is also found in whey protein concentrate to boost health benefits. Usually, whey protein concentrate contains 80 percent protein, which means, 100g of whey concentrate has 82g protein along with about 9g of carbohydrates (about half is lactose), 6g of fat. Whey Protein Isolate is the purest protein to have. With more than 90 percent protein content by weight, whey protein isolate has a higher concentration of branched chain amino acids and is pure enough to be virtually lactose, carbohydrate, fat and cholesterol free. Typically 100g whey protein isolate will offer 92g protein in fewer calories and is virtually cholesterol and fat-free. Whey Hydrolysate is the quickest digesting protein. Protein content in hydrolysate has been exposed to heat, acid or enzymes and has been broken down partially. This makes the protein taste a bit bitter, rapid absorption compensates for the taste. The fact of the matter is that whey protein in any form has excellent digestion, absorption and amino-acid profile than other sources of protein. Whey concentrate is the beginner's whey protein. Along with protein content, whey protein concentrate has few extra grams of carbohydrates and fat but is not suited for a lactose intolerant. It remains the most economical protein. Whey protein isolate is the purest protein money can buy and is the best protein for fitness and muscle building enthusiasts. Easily whey protein isolate is the best whey protein supplement and the worst whey protein will be any whey protein that you can drink but not absorb, leading to stomach upset. Though, whey protein is as safe as cow's milk, however, higher doses can cause some side effects like increased bowel movements, nausea, thirst, reduced appetite and bloating. The solution to this lies in finding a protein blend that contains digestive enzymes, like protease, amylase, lactase, cellulase and lipase that improve digestion and assimilation of carbs, fats and proteins. The perfect whey protein is one where you are able to absorb each drop of your whey shake and nothing goes down the drain (literally) and for this you need a whey protein with digestive enzymes, like DigeZyme. Such a whey protein will enhance digestion and absorption of your protein shake. The benefits of digestive enzymes are improved nutrient absorption and relief from chronic gastrointestinal discomfort, such as bloating, cramps and diarrhoea. Constituted of, digestive enzymes improve the rate of absorption of whey protein. Look for a whey protein that contains whey protein isolate along with digestive enzymes, such as MuscleBlaze Whey Protein because each drop of it will fuel your muscle gains.